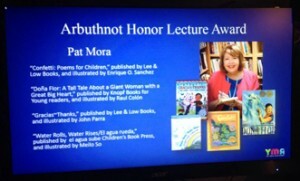 Pat Mora will give the 2016 The May Hill Arbuthnot Lecture. 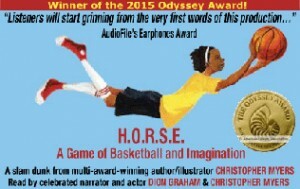 Live Oak Media won the Odyssey Award for H.O.R.S.E. A Game of Imagination and Baseball. 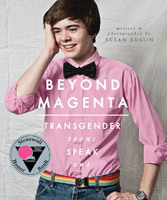 Susan Kuklin won a Stonewall Honor Award for her book Beyond Magenta: Transgender Teens Speak Out. Chesapeake & Hudson Publishers’ Representatives had many publishers honored this year. The Highlights Foundation had multiple faculty authors and editors winning prizes.